Case 2 is situated to the right of the fireplace on the left side of the window. The Crimson Rosella (Platycercus elegans) is a parrot native to eastern and south eastern Australia which has been introduced to New Zealand and Norfolk Island. It is commonly found in, but not restricted to, mountain forests and gardens. The Crimson Rosella occurs from southeastern South Australia, through Tasmania, Victoria and coastal New South Wales into Southeastern Queensland. A disparate population occurs in North Queensland. It is common in coastal and mountain forests at all altitudes. It primarily lives in forests and woodlands, preferring older and wetter forests. They can be found in tropical, subtropical, and temperate rainforests, both wet and dry sclerophyllous forests, riparian forests, and woodlands, all the way from sea-level up to the tree-line. They will also live in human-affected areas such as farmlands, pastures, fire-breaks, parks, reserves, gardens, and golf-courses. They are rarely found in treeless areas. At night, they roost on high tree branches. Crimson Rosellas forage in trees, bushes, and on the ground for the fruit, seeds, nectar, berries, and nuts of a wide variety of plants, including members of the Myrtaceae, Asteraceae, and Rosaceae families. Despite feeding on fruits and seeds, Rosellas are not useful to the plants as seed-spreaders, because they crush and destroy the seeds in the process of eating them. Their diet often puts them at odds with farmers whose fruit and grain harvests can be damaged by the birds, which has resulted in large numbers of Rosellas being shot in the past. Rosellas will also eat many insects and their larvae, including termites, aphids, beetles, weevils, caterpillars, moths, and water boatmen. Nesting sites are hollows greater than 1 meter (3 feet) deep in tree trunks, limbs, and stumps. These may be up to 30 meters (100 feet) above the ground. The nesting site is selected by the female. Once the site is selected, the pair will prepare it by lining it with wood debris made from the hollow itself by gnawing and shredding it with their beaks. They do not bring in material from outside the hollow. Only one pair will nest in a particular tree. A pair will guard their nest by perching near it at chattering at other Rosellas that approach. They will also guard a buffer zone of several trees radius around their nest, preventing other pairs from nesting in that area. The breeding season of the Crimson Rosella lasts from September through to February, and varies depending on the rainfall of each year; it starts earlier and lasts longer during wet years. The laying period is on average during mid- to late October. Clutch size ranges from 3-8 eggs, which are laid asynchronously at an average interval of 2.1 days; the eggs are white and slightly shiny and measure 28 x 23 mm. The mean incubation period is 19.7 days, and ranges from 16–28 days. Only the mother incubates the eggs. The eggs hatch around mid December; on average 3.6 eggs successfully hatch. There is a bias towards female nestlings, as 41.8% of young are male. For the first six days, only the mother feeds the nestlings. After this time, both parents feed them. The young become independent in February, after which they spend a few more weeks with their parents before departing to become part of a flock of juveniles. Juveniles reach maturity (gain adult plumage) at 16 months of age. The Great Grey Shrike, Northern Grey Shrike, or Northern Shrike (Lanius excubitor) is a large songbird species in the shrike family (Laniidae). Breeding takes place generally north of 50° northern latitude in northern Europe and Asia, and in North America (where it known as the Northern Shrike) north of 55° northern latitude in Canada and Alaska. Most populations migrate south in winter to temperate regions.The Great Grey Shrike is carnivorous, with rodents making up over half its diet. 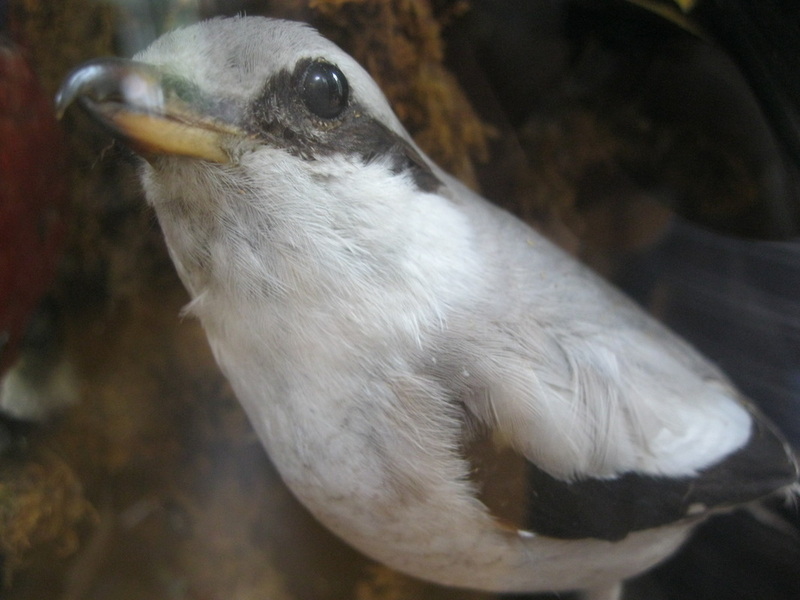 The Great Grey Shrike occurs throughout most temperate and subarctic regions of the Northern Hemisphere. The preferred habitat is generally open grassland, perhaps with shrubs interspersed, and adjacent lookout points. These are normally trees – at forest edges in much of the habitat, but single trees or small stands at the taiga-tundra border. Apart from grassland, the birds will utilize a variety of hunting habitats, including bogs, clearings or non-industrially farmed fields. 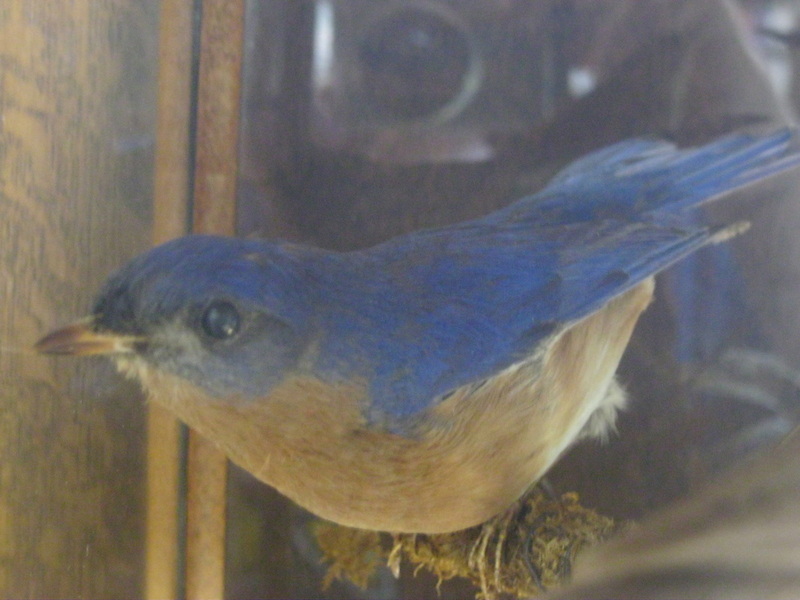 Breeding birds appear to have different microhabitat desires, but little detail is known yet. This species is territorial, but likes to breed in dispersed groups of a good half-dozen adults. Throughout the breeding season, in prime habitat territories are held by mated pairs and single males looking for a partner. On the wintering grounds, pairs separate to account for the lower amount of food available at that time, but if both members migrate they tend to have their wintering grounds not far apart. As it seems, once an individual Great Grey Shrike has found a wintering territory it likes, it will return there subsequently and perhaps even try to defend it against competitors just like a summer territory. The flight of the Great Grey Shrike is undulating and rather heavy, but its dash is straight and determined. It is also capable of hoverflights, which last briefly but may be repeated time after time because of the birds’ considerable stamina. It will usually stay low above the ground in flight, approaching perches from below and landing in an upward swoop. reproduction. The Great Grey Shrike eats small vertebrates and large invertebrates. To hunt, this bird perches on the topmost branch of a tree, telegraph pole or similar elevated spot in a characteristic upright stance some meters/yards (at least one and up to 18 m/20 yd) above ground. Alternatively, it may scan the grassland below from flight, essentially staying in one place during prolonged bouts of mainly hovering flight that may last up to 20 minutes. The keen eye of the watchful “sentinel” misses nothing that moves. It will drop down in a light glide for terrestrial prey or swoop hawk-like on a flying insect. Small birds are sometimes caught in flight too, usually by approaching them from below and behind and seizing their feet with the beak. If no prey ventures out in the open, Great Grey Shrikes will rummage through the undergrowth or sit near to hiding places and flash their white wing and tail markings to scare small animals into coming out. As noted above, it will sometimes mimic songbirds to entice them to come within striking distance. Typically, at least half the prey biomass is made up from small rodents such as mice, shrews, lizards, frogs and toads. Prey is killed by hitting it with the hooked beak, aiming for the skull in vertebrates. If too large to swallow in one or a few chunks, it is transported to a feeding site by carrying it in the beak or (if too large) in the feet. The feet are not suited for tearing up prey, however. It is rather impaled upon a sharp point – thorns or the barbs of barbed wire – or wedged firmly between forking branches. Thus secured, the food can be ripped into bite-sized pieces with the beak. The Pine Grosbeak (Pinicola enucleator) is a large member of the true finch family, Fringillidae. It is found in coniferous woods across Alaska, the western mountains of the United States, Canada, and in subarctic Fennoscandia and Siberia. During winter, Pine Grosbeaks in parts of North America move southward, bringing them as far south as the upper Midwest and New England in the United States, but sometimes even further south, especially during an irruption. This species is a very rare vagrant to temperate Europe; in all of Germany for example, not more than 4 individuals and often none at all have been recorded each year since 1980. Adults have a long forked black tail, black wings with white wing bars and a large bill. Adult males have a rose-red head, back and rump. 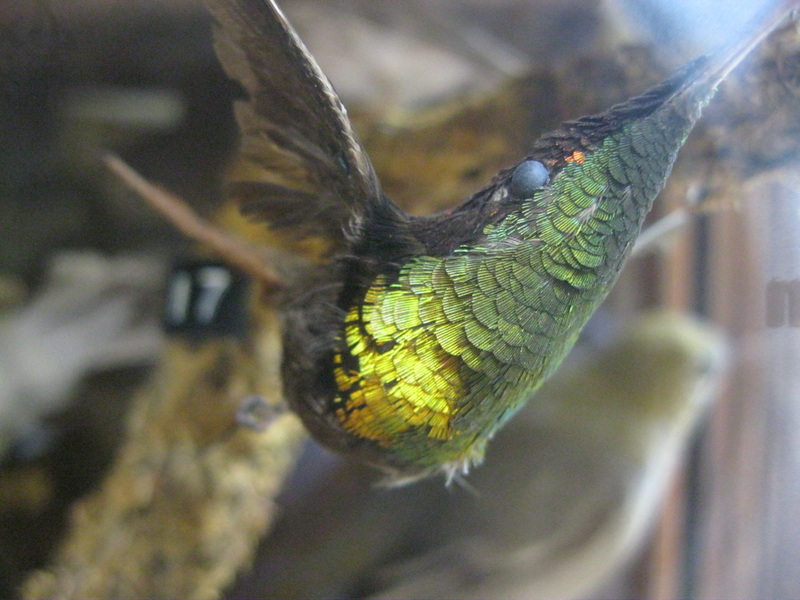 Adult females are olive-yellow on the head and rump and grey on the back and underparts. Young birds have a less contrasting plumage overall, appearing shaggy when they moult their colored head plumage. Its voice is geographically variable, and includes a whistled pui pui pui or chii-vli. The song is a short musical warble. The breeding habitat of the Pine Grosbeak is coniferous forests. They nest on a horizontal branch or in a fork of a conifer. This bird is a permanent resident through most of its range; in the extreme north or when food sources are scarce, they may migrate further south. The Pine Grosbeak forages in trees and bushes. It mainly eats seeds, buds, berries and insects. Outside of the nesting season, it often feeds in flocks. 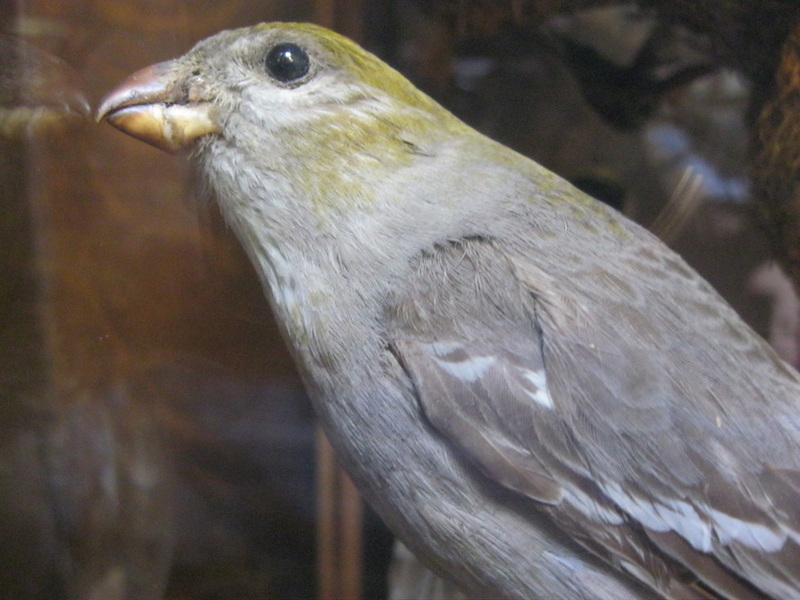 The Pine Grosbeak, together with its Himalayan relative the Crimson-browed Finch (P. subhimachala), represents an ancient divergence from the same stock that also gave rise to the true bullfinches (Pyrrhula). The Pinicola lineage diverged from its relatives perhaps a dozen million years ago, during the Clarendonian faunal stage of the mid-Miocene. In winter, they dwell mainly in lowlands, but may ascend up to 1,500 m (4,900 ft) ASL e.g. in Costa Rica. The first migrants leave in late August and appear on the wintering grounds as early as September, with successive waves arriving until late October or so. They depart again to breed between late March and early May, arriving on the breeding grounds throughout April and May. Migration times do not seem to have changed much over the course of the 20th century. This bird seems just capable of crossing the Atlantic, as there have been a handful of records in Norway, Ireland and Great Britain. 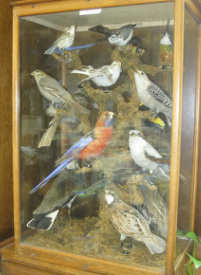 However, half of the six finds were of dead birds. 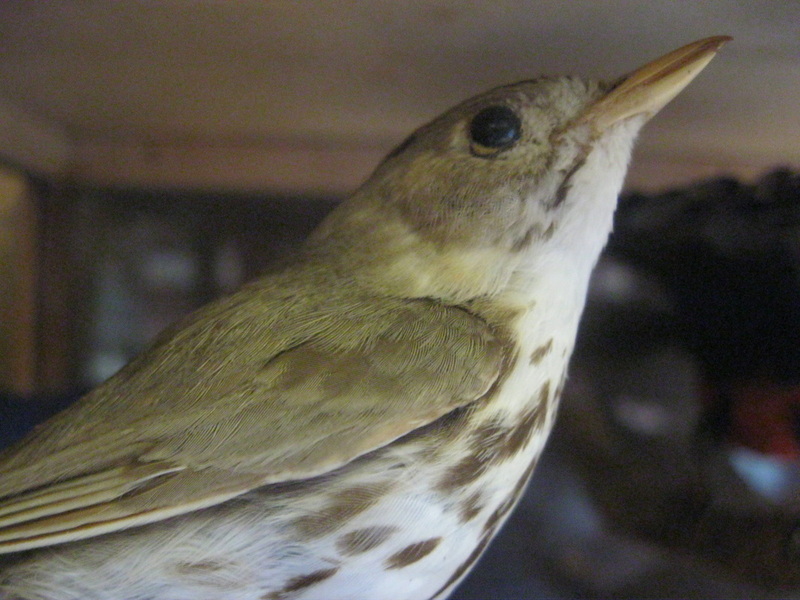 A live Ovenbird on St Mary’s, Isles of Scilly in October 2004 was in bad condition, but died despite being taken into care. The nest, referred to as the “oven” (which gives the bird its name), is a domed structure placed on the ground, woven from vegetation, and containing a side entrance. Both parents feed the young birds. The placement of the nest on the ground makes predation by chipmunks (Tamias) a greater concern than for tree-nesting birds. Chipmunks have been known to burrow directly into the nest to eat the young birds. The Red-crowned Woodpecker, Melanerpes rubricapillus, is a resident breeding bird from southwestern Costa Rica south to Colombia, Venezuela, the Guianas and Tobago. This woodpecker occurs in forests and semi-open woodland and cultivation. It nests in a hole in a dead tree or large cactus. The clutch is two eggs, incubated by both sexes, which fledge after 31–33 days. Adults are 20.5 cm long and weigh 48g. They have a zebra-barred black and white back and wings and a white rump. The tail is black with some white barring, and the underparts are pale buff-brown. 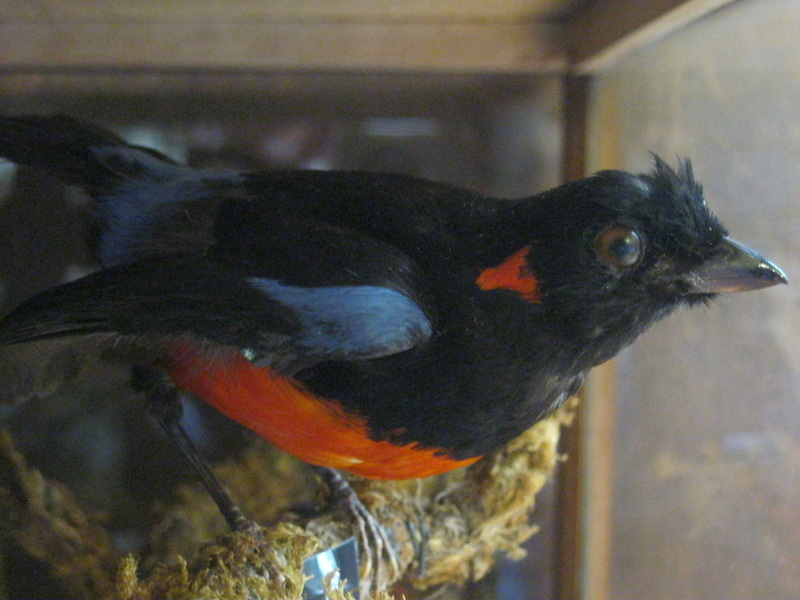 The male has a red crown patch and nape. The female has a buff crown and duller nape. 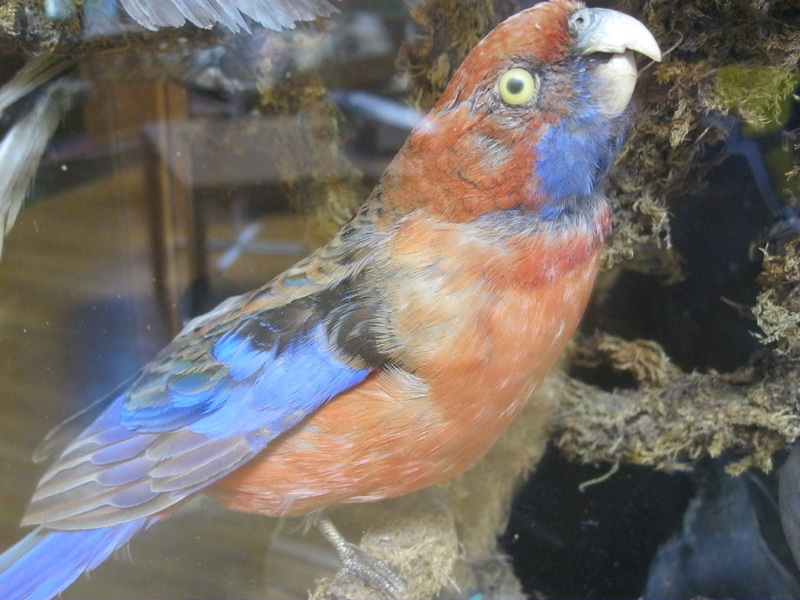 Immature birds are duller, particularly in the red areas of the head and neck. M. r. terricolor of Tobago is larger and darker-breasted than the nominate race. 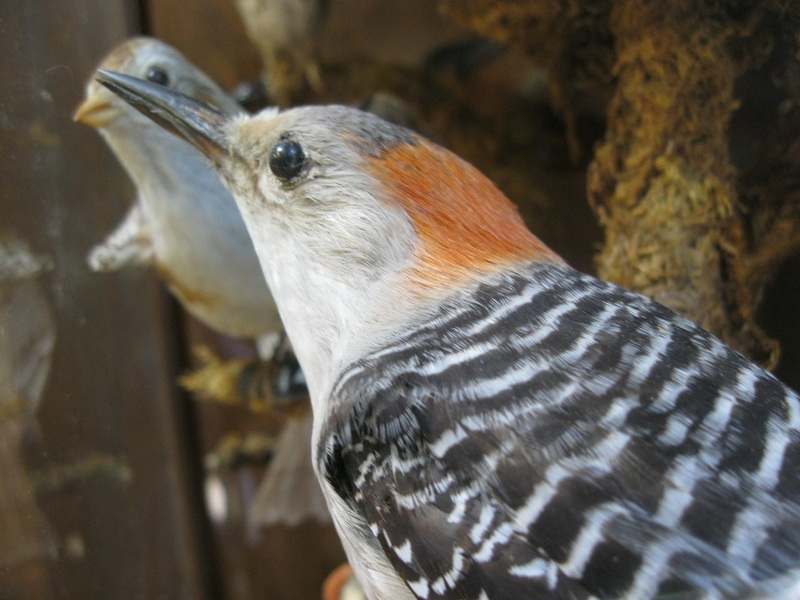 Red-crowned Woodpeckers feed on insects, but will take fruit and visit nectar feeders. 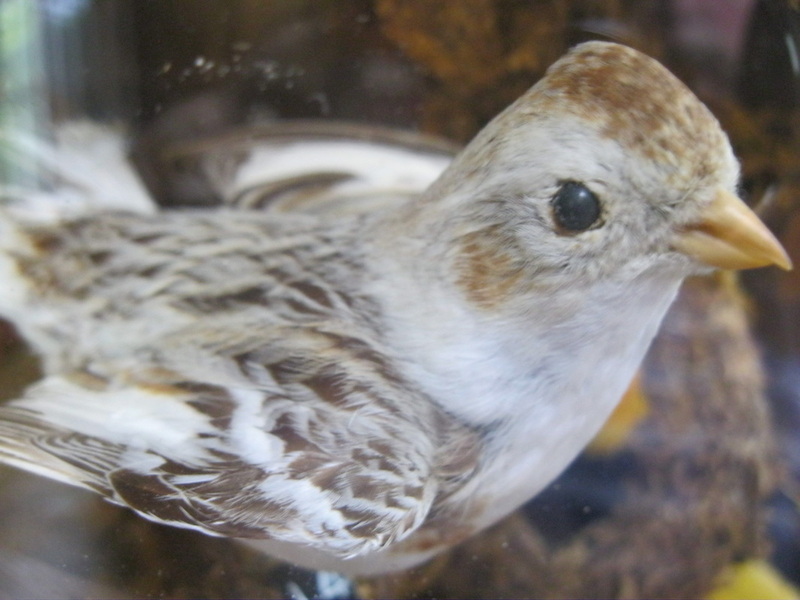 The Snow Bunting (Plectrophenax nivalis), sometimes colloquially called a snowflake, is a passerine bird in the longspur family Calcariidae. It is an arctic specialist, with a circumpolar Arctic breeding range throughout the northern hemisphere. There are small isolated populations on a few high mountain tops south of the Arctic region, including the Cairngorms in central Scotland and the Saint Elias Mountains on the southern Alaska-Yukon border, and also Cape Breton Highlands. It is fairly large and long-winged for a bunting, 15–18 cm long and with a wingspan of 32–38 cm, and weighing 26–50 g. In flight, it is easily identified by its large white wing patches. The breeding male is unmistakable, with all white plumage and a black back; the breeding female is grey-black where the male is solid black. In winter plumage, both sexes are mottled pale ginger, blackish and white above, and pale ginger and white below, with the males having more white than the females. 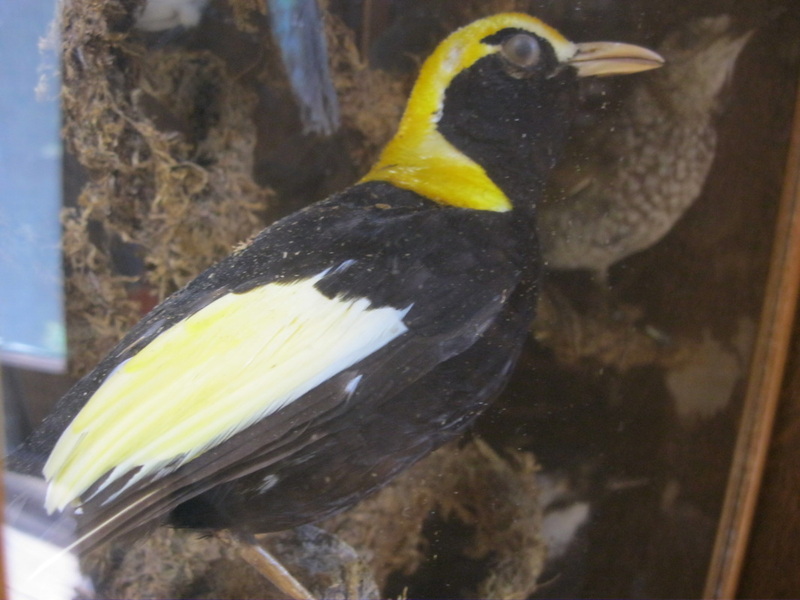 The bill is yellow with a black tip, all black in summer males. Unlike most passerines, it has feathered tarsi, an adaptation to its harsh environment. No other passerine can winter as far north as this species apart from the Common Raven. The call is a distinctive rippling whistle, “per,r,r,rit” and the typical Plectrophenax warble “hudidi feet feet feew hudidi”. It builds its bulky nest in rock crevices. The eggs are blue-green, spotted brown, and hatch in 12–13 days, and the young are already ready to fly after a further 12–14 days. Plectrophenax nivalis nivalis. Arctic Europe, Arctic North America. Head white, rump mostly black with a small area of white. Plectrophenax nivalis insulae. Iceland, Faroe Islands, Scotland. Head white with a blackish collar, rump black. Plectrophenax nivalis vlasowae. Arctic Asia. Head white, rump mostly white. Plectrophenax nivalis townsendi. Aleutian Islands, Kamchatka, coastal far eastern Siberia. As vlasowae, but slightly larger. It is very closely related to the Beringian McKay’s Bunting, which differs in having even more white in the plumage. 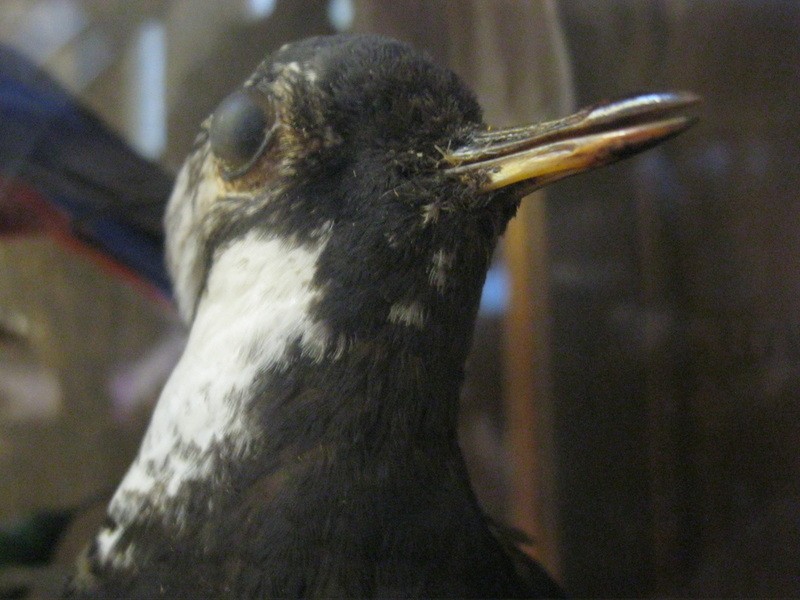 Hybrids between the two occur in Alaska, and they have been considered conspecific by some authors, though they are generally treated as separate species. The species is not endangered at present, with good populations. It shows little fear of humans, and often nests around buildings in Arctic areas, readily feeding on grain or other scraps put out for it. 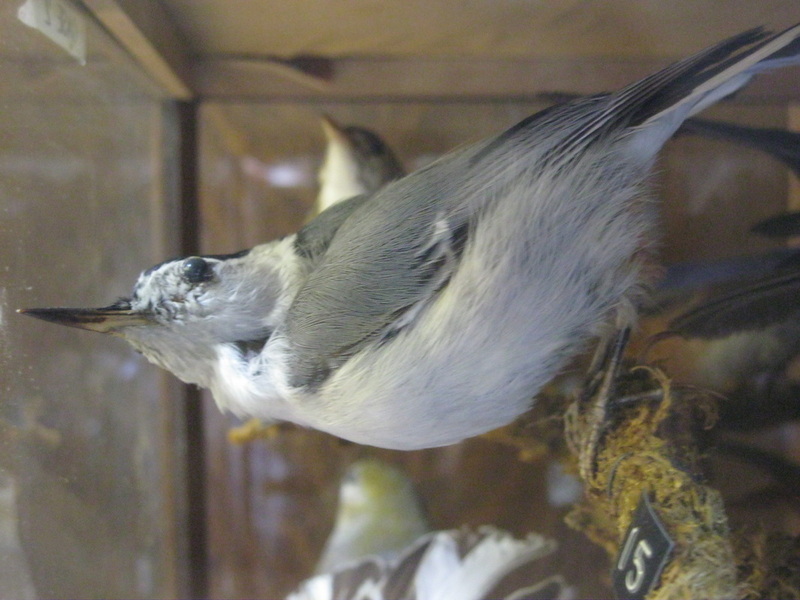 Like other members of its genus, the White-breasted Nuthatch has a large head, short tail, short wings, a powerful bill and strong feet; it is 13–14 cm (5–6 in) long, with a wingspan of 20–27 cm (8–11 in) and a weight of 18–30 g (0.64–1.06 oz). The Rufous-tailed Jacamar, Galbula ruficauda, is a near-passerine bird which breeds in the tropical New World in southern Mexico, Central America and South America as far south as southern Brazil and Ecuador. The jacamars are elegant brightly coloured birds with long bills and tails. 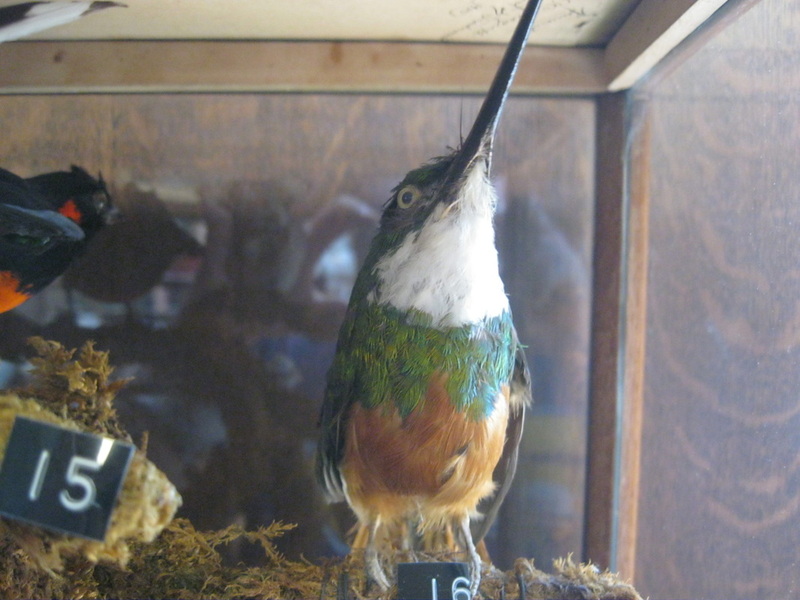 The Rufous-tailed Jacamar is typically 25 centimetres (10 in) long with a 5 centimeters (2 in) long black bill. 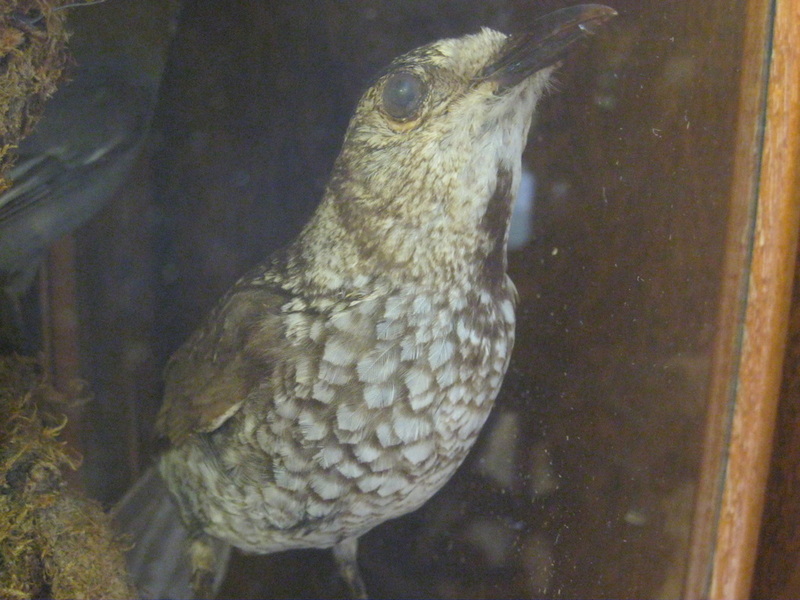 The subspecies G. r. brevirostris has, as its name implies, a shorter bill. 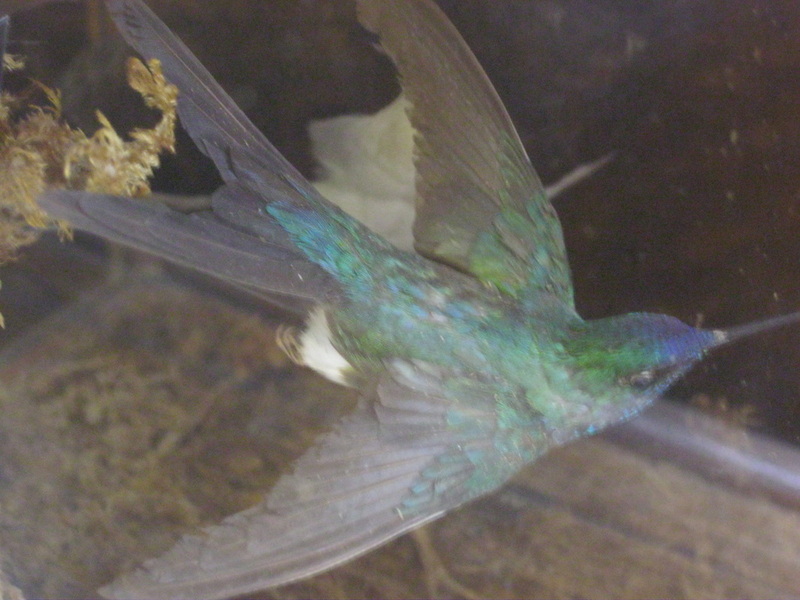 This bird is metallic green above, and the underparts are mainly orange, including the undertail, but there is a green breast band. Sexes differ in that the male has a white throat, and the female a buff throat; she also tends to have paler underparts. The race G. r. pallens has a copper-coloured back in both sexes. This species is a resident breeder in a range of dry or moist woodlands and scrub. The two to four rufous-spotted white eggs are laid in a burrow in a bank or termite mound. This insectivore hunts from a perch, sitting with its bill tilted up, then flying out to catch flying insects. The bird distinguishes between edible and unpalatable butterflies mainly according to body shape (Chai 1996). 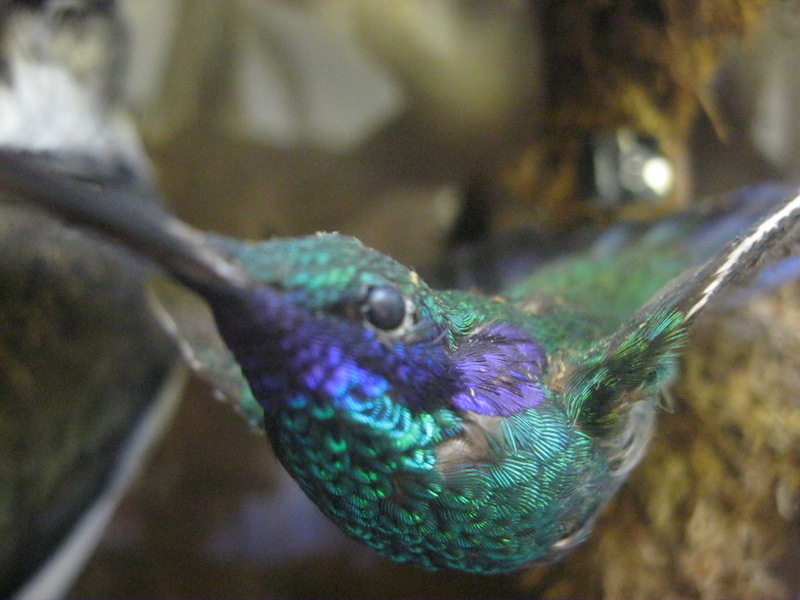 We are looking for the species of Hummingbird if you think you know what that it is please go to our Unidentified Birds page and tell us. 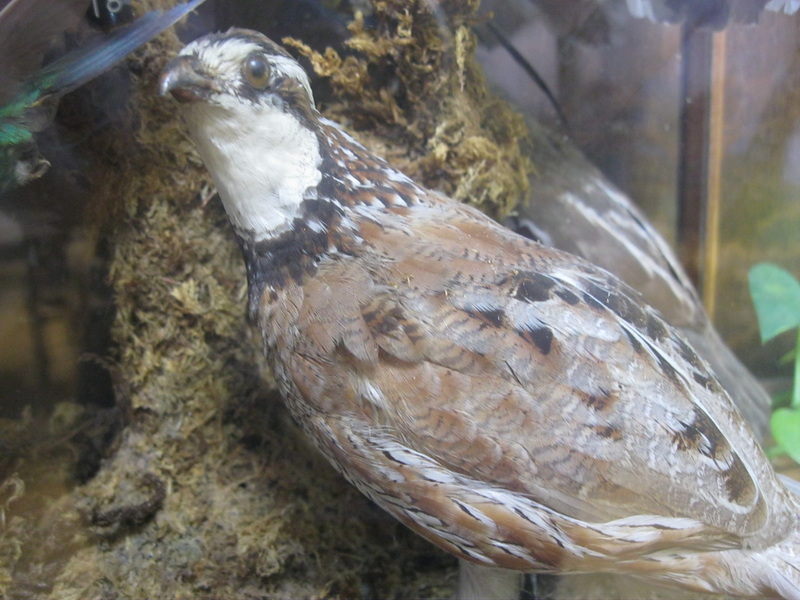 Case 2, Bird 6: Formerly identified as "Cavalier Bird" If you have a guess as to Bird 6's identity please let us know by going to our Unidentified Bird page and telling us. Thank you.